ACUVUE® OASYS™ Brand Contact Lenses with HYDRACLEAR™ Plus are the new contact lenses from Johnson & Johnson designed to help eyes stay moist and fresh. They provide unbelievable comfort even in demanding conditions, like in an air conditioned office, when using a PC or on a plane. Each box contains 6, 1-2 week disposable soft contacts in buffered saline solution, with UV protection. I just had these recommended to me by my optician. I have to use one Toric and one normal. I found both types to be superb. Very fine and instantly comfortable in the eye - no waiting 10 mins for them to settle in (like the purevision ones I`d been using before). They have remained moist and clear in vision after 1 week continuous wear, still comfortable and still clear vision. I am disposing weekly and wearing continulously, I could probably squeeze a second week out of them with continuous wear because unlike the Focus Dailies (which I found didn`t even last 8 hours) and the purevision they seem hardwearing and they just maintain moisture very well. Without the toric version vision was not great in the one eye that needs Toric. Switching to toric for a week made these lenses fabulous for me. I can finally wear trendy sunglasses and not need prescription ones. Waking up in the morning being able to see straight away is also great - no waiting for vision to settle (as with the Purevision). All I can say is, these are the most modern of lenses and the workmanship shows on them. Comfortable, ultra thin, and like little sponges of moisture on the eyes. Just lovely! Do exactly the opposite of what they say on the tin! I normally wear Acuvue Advance, but bought a box of these after reading they were the most comfortable thing since mink bed socks. Unfortunately, I found them anything but. I was constantly aware of them in my eyes and my vision was less sharp than when wearing the `Advance` lenses. It wasn`t just a one-off pair, the whole box were as bad and I was relieved when I found a spare pair of Advance lenses to tide me over while ordering aother box of them. Don`t know why, but these lenses didn`t work for me. I switched from Advance to Oasys when they came out 5(?) years ago. In all that time, I have had just one that tore. I wear them on average for 16 hours per day but when travelling, have worn them up to 30 hours without any trouble. Unbeatable! 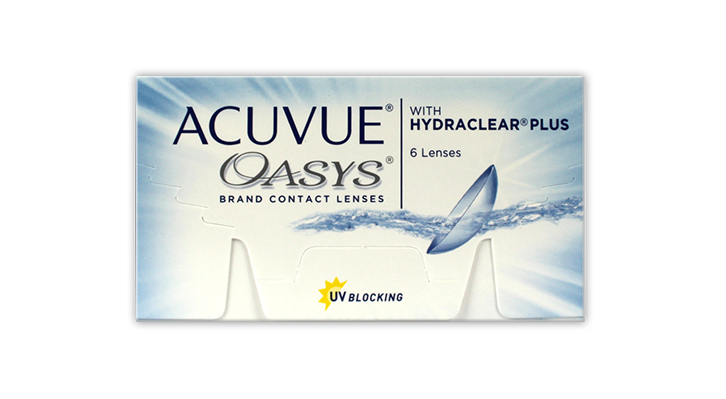 I stopped using Accuvue when they went to Oasys. Tried buying Oasys twice, the 2nd time by mistake. They just aren't as comfortable as Advance and I don't know why. My optician recommended me to spend more on my contact lenses when I told him I was wearing Crystal contact lenses almost every day, and recommended Acuvue. Honestly these are the most painful contact lenses I've worn, they were fine for a few days but then they felt really painful and kept moving around to the point where I couldn't even see anything and it was excruciating. I just wanted to take them out but I had forgotten my glasses and so I couldn't take them out because then I wouldn't be able to see a thing... really was so hard to get through my day! Will not be buying Acuvue again. I never had any problems with Crystal lenses.